Simply go to the "Go Shopping" tab in the navigation bar and visit The Shop. All in-stock items and custom slots are available here with greater inventory control. What fabrics are used for your products? Most of the fabrics I use for slings are cottons and cotton/poly blends, with some occasional other fabrics thrown in. There are also specialty fabrics such as silk, velvet, brocade and others. If you have a question about the fiber content of a specific fabric, please contact me at jenncatsmeow@yahoo.com. For diaper making I use a variety of materials including microfleece, suedecloth, assorted velours (including poly, cotton, and bamboo), cotton flannel, PUL, Fleece, microfiber, hemp, and wool. I also use a lot of recycled materials to help the environment including recycled wool and microfleece sweaters, recycled t-shirt jersey, and recycled flannel sheets. When caring for the earth, every little bit helps. Can I have Custom Work Done? Yes!!! Simply e-mail me at jenncatsmeow@yahoo.com to make custom inquirys. I can adjust many things to your liking, just ask. The most common custom request is fabric/color choices. Try me! How are the Cloth Diapers sized? My diapers are designed to have a moderately low rise and trim fit. Unfortunately, all babies are shaped differently so what may work for one may not work the same for another. The following information can be used as a general guide for determining the size you may need for your individual child. **NB/Sm are only avail. as a serged style diaper. All others are available only as a TnT style diaper. 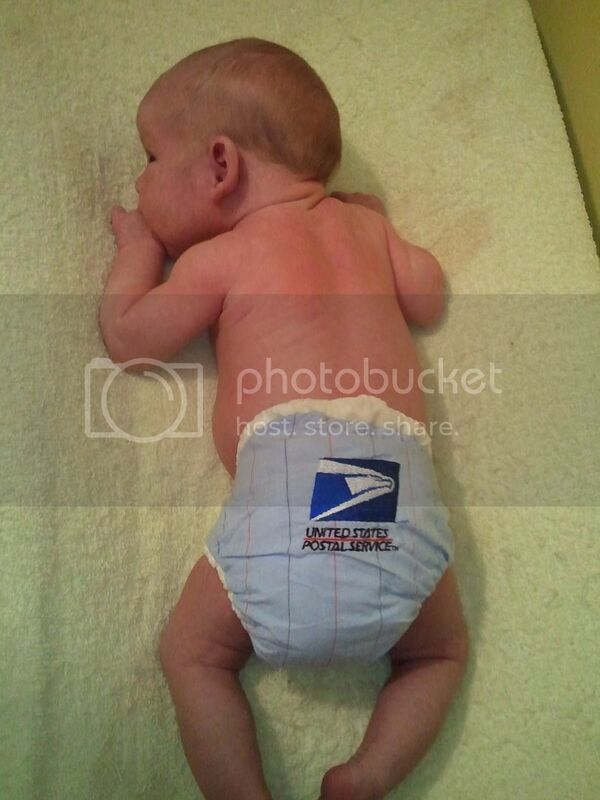 What is the difference between Serged and TnT style diapers? Our TnT style diapers are sewn right sides together (inside out), then turned right side out and topstitched closed. This produces a more tailored look, especially at the leg area. The fitted and AIO type versions feature an internal soaker core for absorbency. AI2s have a snap-in soaker. Currently our Newborn, Small, Medium and Large sized diapers are made in this design. How do I measure for Wool Longies, etc.? Rise--While wearing a diaper, measure from the child's navel/top of diaper, down between the legs and up to the top of the backside of the diaper. Then add one inch to be sure your longes "cover" the diaper. Inseam--While wearing a diaper, measure the child from crotch to ankle. Waist--While wearing a diaper, measure around child's waist, just above the upper-most part of the diaper. Thigh--Measure around the widest part of the child's thigh. How do I care for my wool? WASHING: Fill Basin with Lukewarm water. Wet wool item, add wool wash (liquid or bar...baby shampoo works too), creating suds. Swish the woolen and allow the lanolin to reach all the pores of the wool. Soak for 15 minutes. Drain basin. Gently squeeze (do NOT twist) and air dry. LANOLIZING: (Only needed every 3-4 washings, if you are using a lanolin rich wool wash) In a small jar add a pea size amount of lanolin (solid or liquid...Lansinoh even works) to HOT water with a drop of baby shampoo or liquid wool wash. Shake to mix thoroughly. Add mixture to sink basin filled with lukewarm water and dampened wool. Swish and allow to soak for 20 minutes. Drain basin. Gently squeeze (do NOT twist) and air dry. What type of rings are used for the Ring Slings? What is the weight limit of your baby carriers? The recommended weight limit for most baby carriers (including mine) is 35 lbs. I have personally tested my carriers with my 20 lb. daughter, my 30 lb. nephew, and my 60 lb. nephew. While the carriers themselves are structurally sturdy enough to endure all of these tests....my back and shoulders were put to the limit with my 60 lb. nephew. My other nephew and my daughter could both be carried comfortably at length in any/all of the carriers. Can my child sit front facing in a carrier? Yes, Maybe and No! 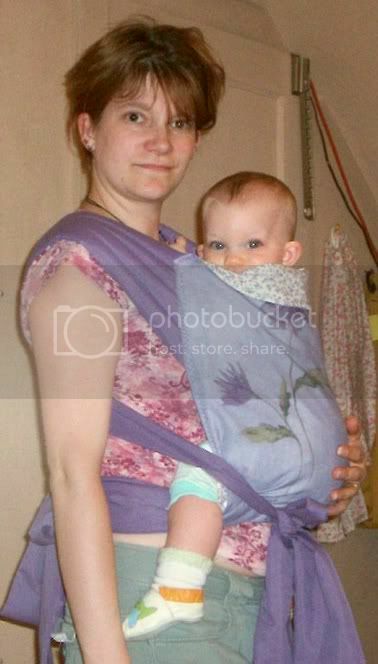 If you would like to wear your child on the front, facing forward, we suggest a ring sling or pouch style carrier in a Kangaroo Carry. This is best for developing hips. Our Asian style baby carriers can also be used with the child facing forward, provided that the child's legs are crossed inside the carrier, buddha style. It is not recommended that the child's legs be spread apart and hanging out forward facing in a front carry. This puts too much strain on the child's pelvis and legs and is difficult to get a good "seat" (bum lower than knees) for the child's comfort. What is the difference between a Mei Tai and an Onbuhimo? 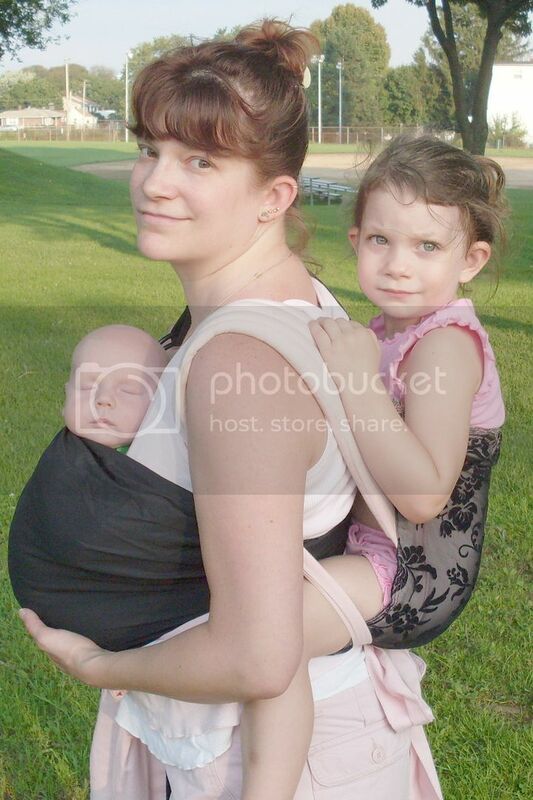 Both of these carriers are considered Asian Baby Carriers. The Mei Tai is of Chinese decent, whereas the Onbuhimo has its origins in Japan. The most obvious difference between the two is the number of straps. The Mei Tai has 4 straps (two at the shoulder, two at the waist). The weight of the child is dispersed on the shoulders, across the back, and at the waist and hips. The Onbuhimo has only 2 strap at the shoulder, which are then threaded through rings at the waist. This disperses the weight a bit differently, yet still on the shoulders and across the back. Another difference between the two is the body dimension of the carriers. The onbuhimo features a narrower body width and a height between our square and tall version MTs. Why would I choose one (Mei Tai or Onbuhimo) over the other? Some prefer the conveinence of only two straps on the onbuhimo to the four straps of the mei tai. 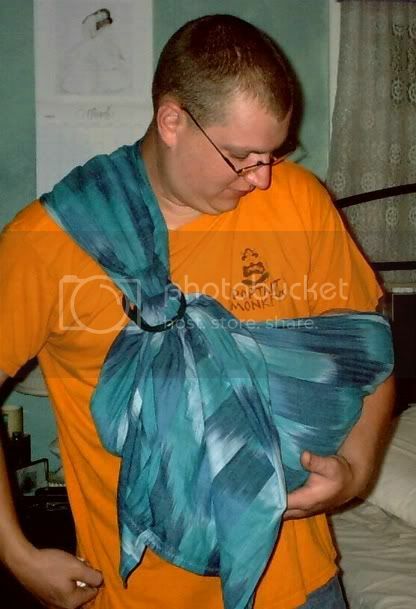 I find the onbuhimo easy to tie on in a front carry, without putting baby down. Some find an onbuhimo more appropriate for a child from about 3 months old up to about 25 lbs or so, as the weight dispersment may be tough on the shoulders and upper back. But, those with lower back trouble sometimes prefer the onbuhimo, just for that reason. Many choose a mei tai, since it is a bit wider and can be used from birth (froggy legged) on up. And, because of the four straps many prefer the more even weight distribution across all parts of the back and shoulders, especially for heavier children and long wearing periods. It is really a matter of personal preference. Until you have tried each, it is difficult to determine which one you will prefer. How do I decide between a Regular & Plus sized MT's? As for regular vs. 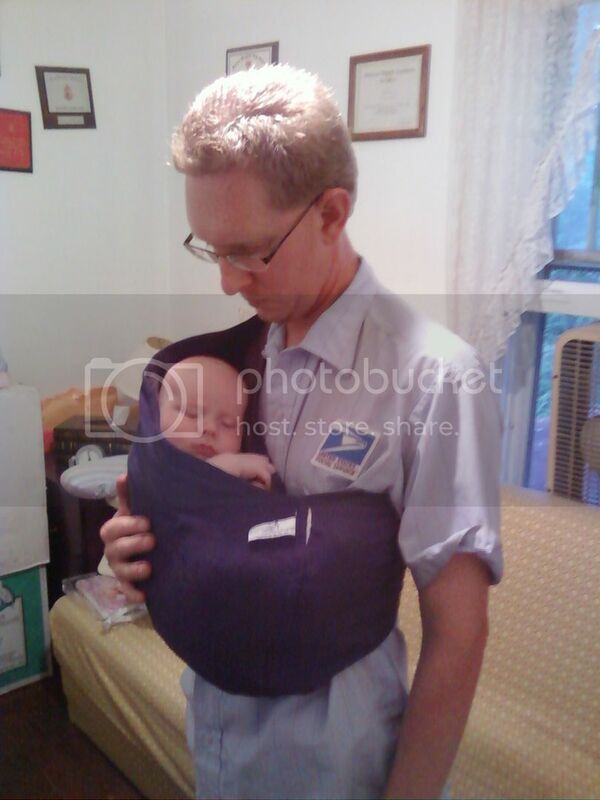 Plus...If you are a particularly "fluffy" momma or daddy, then you may want to go with the PLUS sized carrier. 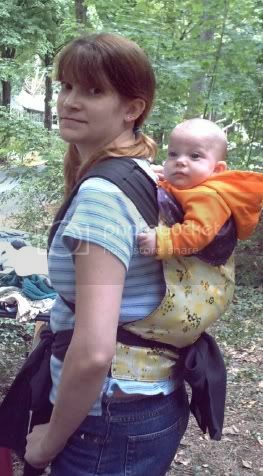 This option adds a slight bit more to the body of the carrier, as well as longer length to the straps for a better fit. Why would I want Padding in my MT or Pouch? All of our Asian Baby Carriers, as well as our Ring Slings come with paddin in the shoulder areas. We also offer additional padding options. Padding in the MT itself (leg & headrest) and in the Pouch leg rails is more for baby comfort and support. It is not Necessary, but some moms (and babies) prefer it. If you go with the shorter body MT with a very young baby for example, you may wish to have headrest padding to provide more head support. Or, if you have a child with particularly chubby legs, you may wish to go with leg padding in your pouch or mei tai. It gives just a little bit of cushioning, so that the fabric doesn't not dig into the leg. I have used both with my daughter and have not had any problems with or without padding. Many moms use MT's without padding and love it...actually finding the padding annoying. Others refuse to go without it. As far as padding in the mei tai waist straps; that's for mom's comfort. This helps fluffier mom's keep the straps from cutting into the waist. It also helps to keep the waist straps nice and flat, so they don't bunch up. I am a fairly thin mom (somewhere between an 8 & 10) and haven't had a need for padding in my straps, and prefer to go without it. 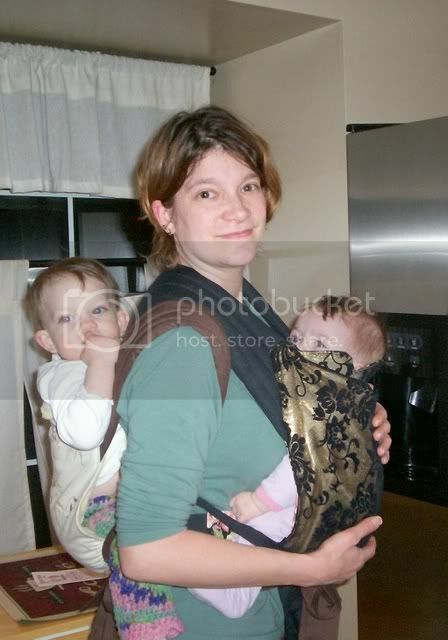 Many larger moms do just fine without it, as well, provided they keep the straps flat when tying them. It's just an option I offer for those who prefer it. My question is not answered here....How do I find out the answer? Here I have answered some frequently asked questions and provided you with some things to consider for your own (and your child's) preferences. If there is anything else I can answer, please contact me at jenncatsmeow@yahoo.com.